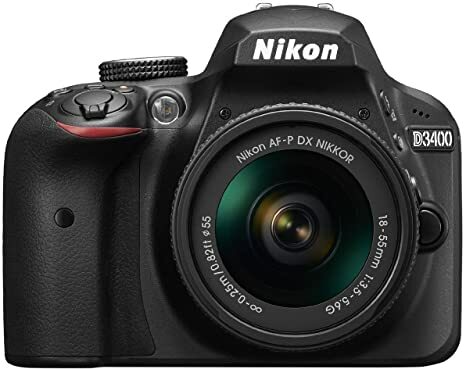 The lowest price of Nikon D3400 DSLR Camera with Kit Lens AF-P DX NIKKOR 18 - 55 mm f/3.5 - 5.6G VR ( Black ) is at Flipkart where is it is for INR 0. This price is INR 39824 lower than the other price for the product. The prices for the product change across variants. 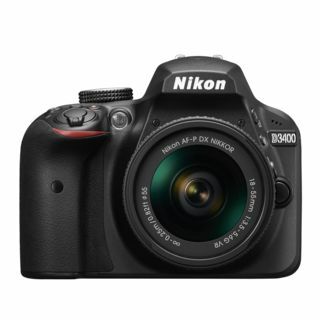 The price for Nikon D3400 DSLR Camera with Kit Lens AF-P DX NIKKOR 18 - 55 mm f/3.5 - 5.6G VR ( Black ) is valid across Bangalore, Hyderabad, Chennai, Mumbai, Delhi, Pune and Kolkata. The Nikon D3400 DSLR Camera with Kit Lens AF-P DX NIKKOR 18 - 55 mm f/3.5 - 5.6G VR ( Black ) is available at best price of INR 0 on Flipkart. Nikon has released a new kit lens in 2016 that is compatible with D3400. There are various kit lenses before it. This is what you need to understand : AF- S 18-55mm VR - oldest AF- S 18-55mm VR II - old AF- P 18-55mm VR- latest The "P" stands for a stepping motor, a newer technology which makes the lens significantly quieter (almost silent) and slightly faster. The new lens has also slightly better performance at wide open settings. And it has VR- Vibration Reduction for image stabilization. You can read the Ken Rockwell review of this lens. I've seen many people being angry at the seller for sending them the AF-P VR lens which is the latest, complaining that they did not get the VR II lens. You should be actually thanking them for sending you the latest lens and not the old one. 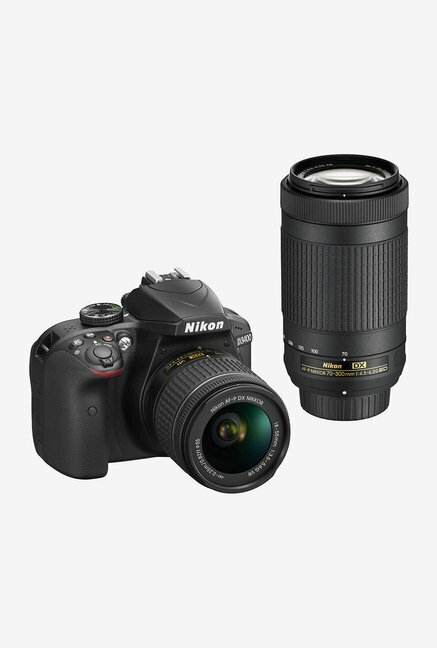 if you're serious about photography : 1) Nikon 55-200mm. Great for portraits. Decent zoom and reach. Not for far away bird shots though. (For that buy the Tamron 70-300mm over the Sigma or if you're rich get the Nikon 70-300 VR). A major wildlife photographer needs something like Tamron 150-600mm lens. 2) Nikon 35mm f1.8G. An all around amazing lens. This lens makes you a better photographer. Fixed prime, meaning no zoom. But unmatched image quality at this price. Great for indoor shots too. 3) A wide angle lens. Expensive Tokina 11-16mm. 4) If portraits are a big deal to you, only then go for the 50mm f1.8 G. Overall an amazing camera. You cannot go wrong with this one. Just make sure you really need a DSLR and its features. If you're someone who needs better images than smartphones with a good flash, better portability and going to shoot in Auto Mode anyway, you're looking for a point and shoot camera and the new ones takes great pictures under good light. I recommand you to buy nikon d3400 over canon 1300d Great product and original and well packed and nice image quility.pls dont confuse in lens.you should buy af p lens. Product is delivered to me before expected delivery time. I bought it for 38k with 3k cash back last yr oct, now it is too cheaper than that I am amazed of seeing the quality of that 70-300m lens for both long and closeup shots. This one will be a long term asset for the one goes for it. I bought it to take snaps of my new born, and it served, met and beat the purpose infact. very good for beginners and infact for few professionals as well, as secondary one.